All burgers are served with your choice of fries, soup, or coleslaw and are garnished with lettuce, tomato, red Bermuda onion, and a Strub’s dill pickle. Chopped sirloin patty, charbroiled medium to medium well. 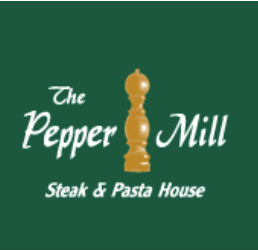 Our Pepper Mill 8 oz. Burger topped with fried onions and our bold original barbeque sauce.